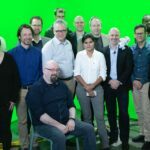 This video is part of the appearance, “NetApp Presents at Tech Field Day 18“. It was recorded as part of Tech Field Day 18 Austin at 12:30 - 14:30 on February 7, 2019. Each day, Active IQ receives telemetry data from more than 300,000 assets around the globe, adding to a multi-petabyte data lake that processes ten trillion data points each month. Supporting a big data environment of this size with a traditional architecture is inefficient and expensive. In this 20-minute video, Shankar Pasupathy gives an overview of the hybrid cloud architecture powering Active IQ. He will talk about building a unified data lake on-premises as well as how we are enabling our data scientist to use their platform of choice without making individual copies of data. Our use of the data fabric to build this environment has drawn interest from hundreds of customers looking to build their own AI infrastructures. Presented by Shankar Pasupathy, Technical Director, AI and Data Engineering, Active IQ.